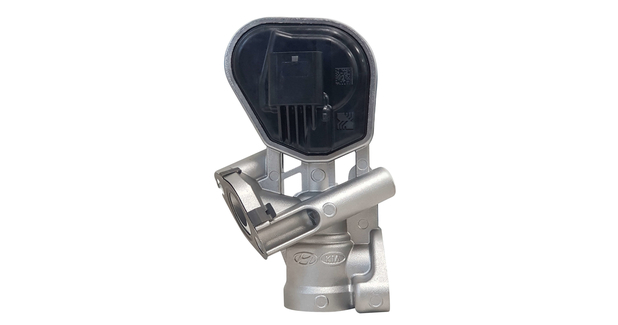 BorgWarner has provided the Hyundai Motor Group with exhaust gas recirculation (EGR) valves that reduce nitrogen oxide (NOX) and carbon monoxide (CO). In addition, the company’s technology contributes to improved fuel efficiency of up to 2.5 per cent and features cost-effective design. The automotive industry is currently experiencing a major breakthrough: new guidelines regarding emissions require ever-cleaner and efficient engines. BorgWarner is producing this clean and efficient technology solution locally in Korea for the first time. The technology is currently suitable for three of the automaker’s engines, including the Gamma II (1.6 litre), Nu Imp. (1.8 and 2.0 litre) and Theta III (2.5 litre). Moreover, BorgWarner supports the Hyundai Motor Group by locally producing EGR valves in China as well. “We are delighted to expand our successful, more than 30 year long-lasting relationship with Hyundai Motor Group. As leader in gasoline EGR technology, we can provide our customers with highly developed solutions such as an adaptable valve housing to be suitable for each engine layout,” said Joe Fadool, President and General Manager, BorgWarner Emissions & Thermal Systems. “At BorgWarner, we are aligned with the aims of the Hyundai Motor Group, employing EGR for gasoline engines to improve fuel economy and reduce emissions. As we support our customers with localised manufacturing, we have grown as a top supplier for EGR solutions,” he added. EGR systems are a proven, cost-effective solution for improved fuel economy. To meet more and more stringent emissions regulations, the demand for this advanced technology is increasing among vehicle manufacturers. BorgWarner provides its customers with a range of technologies, from EGR valves to complete EGR module solutions. By recirculating a controllable portion of exhaust gas back into the intake air, EGR systems enable the reduction of combustion temperatures and increase engine efficiency, even at minimal coolant flow. The company’s valves precisely regulate EGR at various engine speeds and loads. BorgWarner’s solution enables reductions in fuel consumption by minimising the use of enriched fuel/air mixtures while facilitating a leaner burn through improved combustion timing.